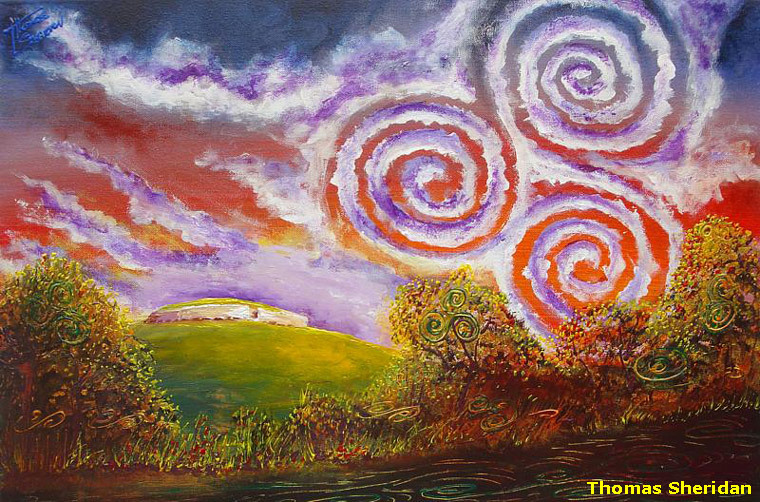 Born in Dublin, Thomas Sheridan is a professional artist living and working in south Sligo under the shadow of the Ox Mountains. 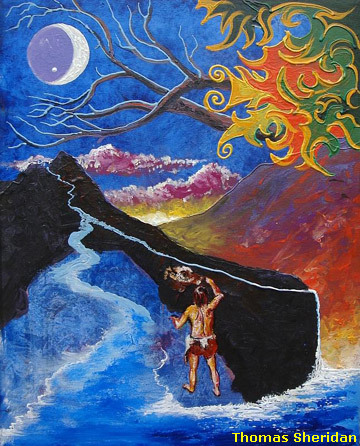 A former rock musician and graphic designer, he moved to the region in 1998 and has been painting full-time since 2005. Working mainly in acrylic on canvas as well as mixed watermedia on paper, his paintings have been described as vibrant, contemplative, poetic and soulful, with an underlying ‘Celtic’ surrealist character. 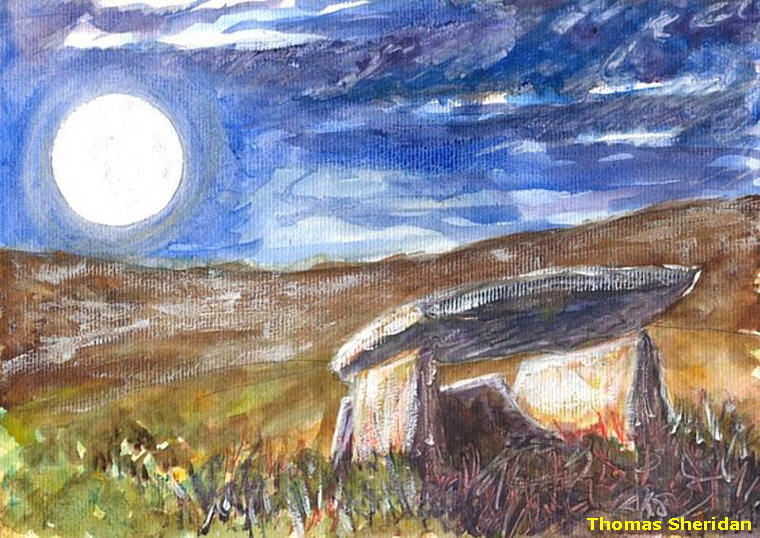 Thomas' work is in private collections worldwide and has been represented by several galleries. He has also taken part in exhibitions in Ireland and abroad. 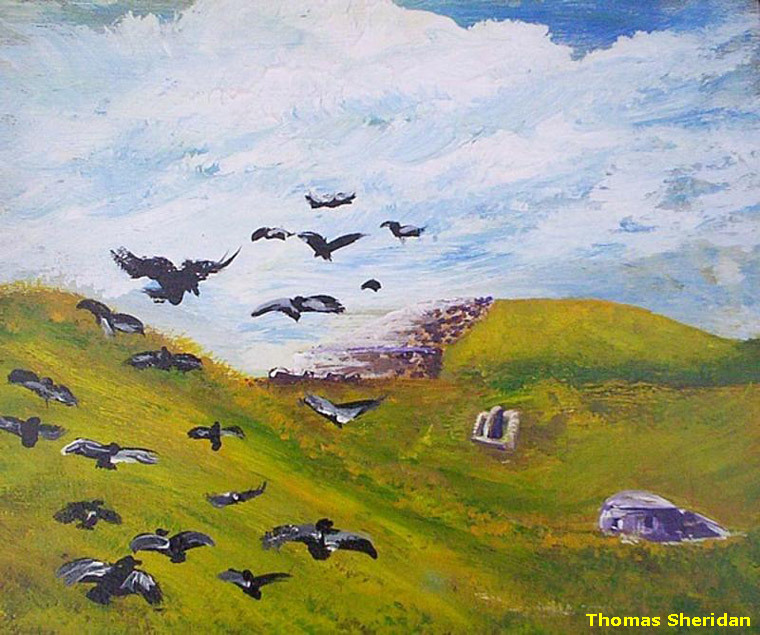 Thomas Sheridan is one of the founding members of the NorthWest Artists Group (Ireland).